Master Box Dimension : 24" X 17" X 19"
Kids can now help their parents with the chores by pretending to iron all of their clothes, wrinkle free! 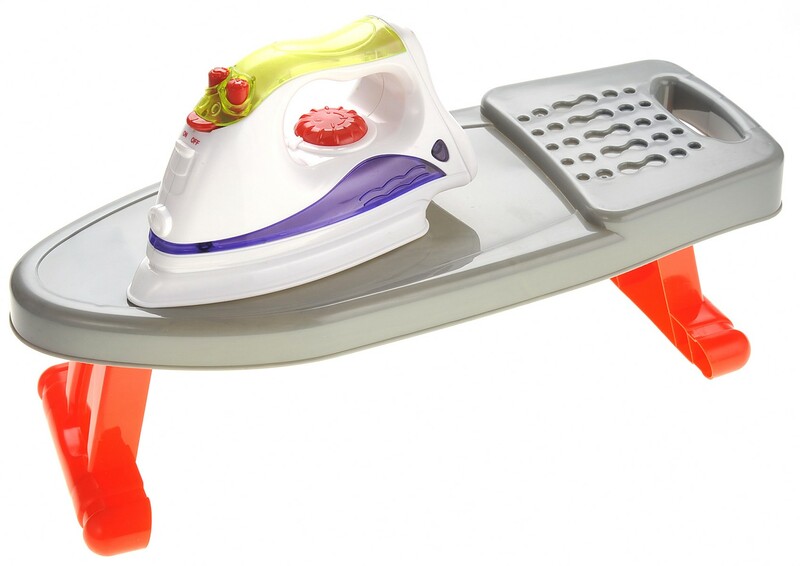 This ironing playset toy fully resembles that of the iron used in real life. It even has a built-in indication light that lights up when its on and can also create a steamy sound. 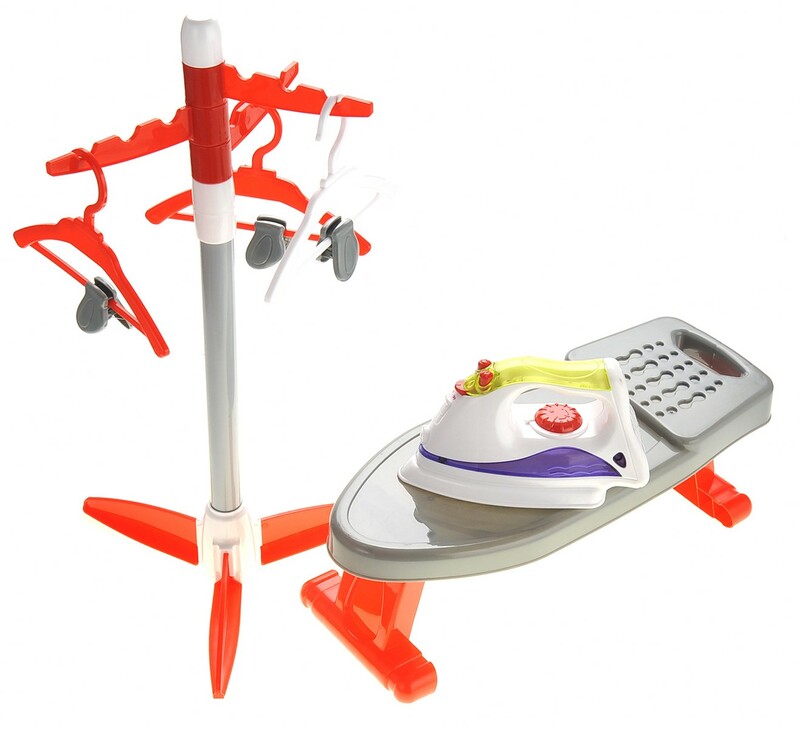 Playset even includes ironing board, clothes dryer, and hangers. Kids can learn to develop life skills and they will get used to helping out around the house when they get older. 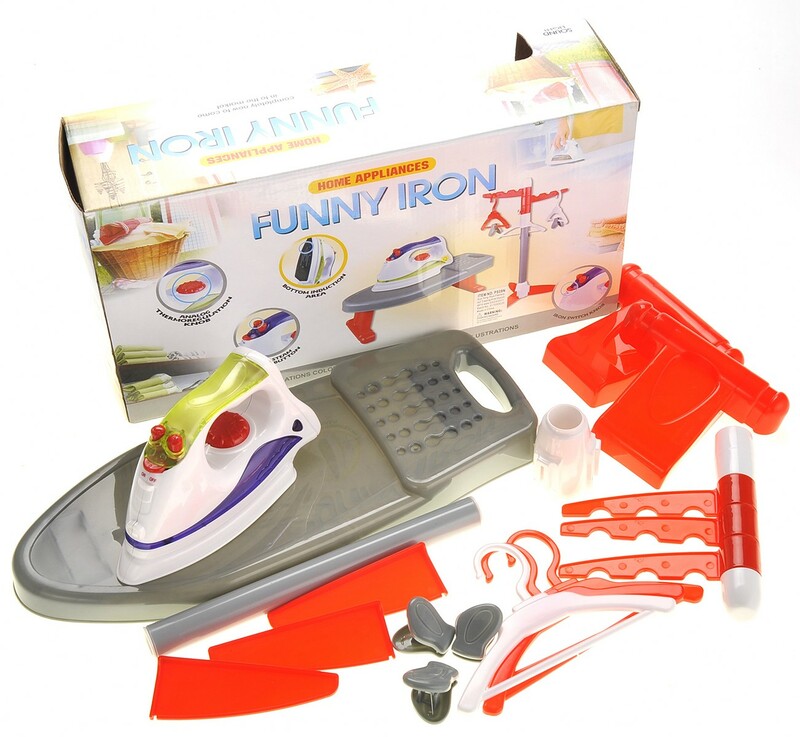 Ironing playset toy includes Iron, Board, Clothes Dryer, and Hangers. 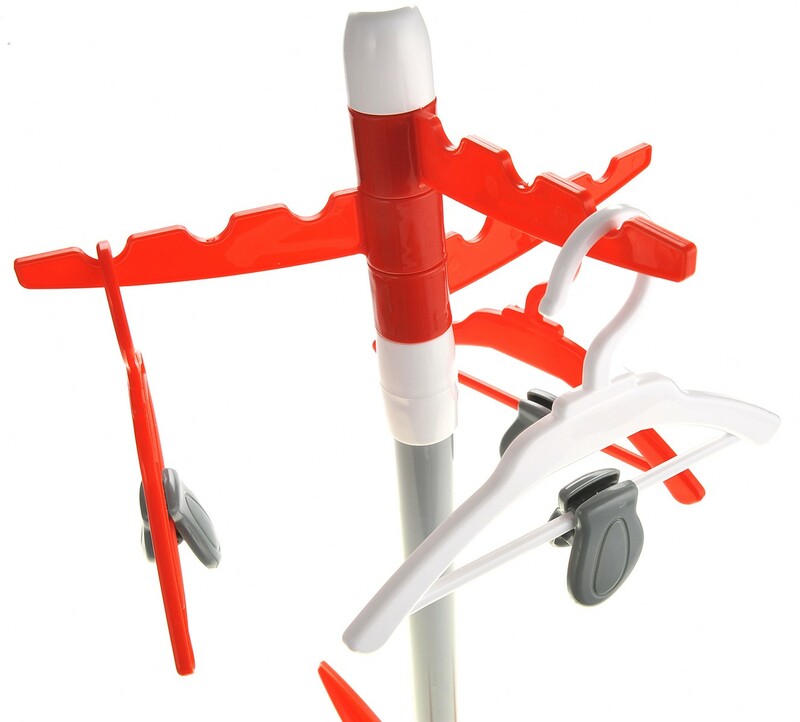 Essentially everything you need to get those annoying wrinkle off the clothes. Iron is roughly 7" and iron board measures 14"